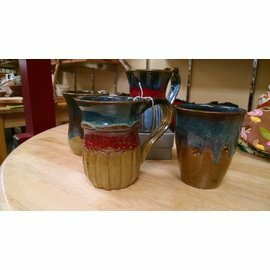 If you recognize and appreciate the difference between coffee and really good coffee, then Woodshed Roasting Company has the perfect cup for you. The Keurig K-cup revolution makes getting a single cup of coffee quick and easy. 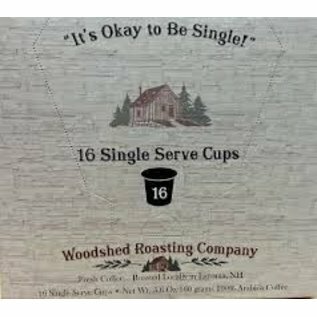 If you're looking for the highest quality single serving coffee for your favorite Keurig brewer, Woodshed Roasting Company has you covered. 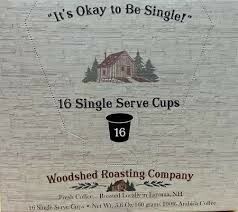 16 Single Server Cups. 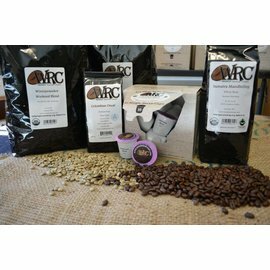 Peruvian Blend: We source fair trade organic beans from small farms and villages in the mountain regions of Peru. Sumantra Mandheling: Born in the Aceh region of Sumatra, this coffee is a clean, double-picked Sumatra with deep fruity notes, great body and a smooth lasting finish. Robust enough for that first eye-opening sip in the morning and refreshing enough for that after dinner cup. Fat Tire: Our Fat Tire blend is a medium body, full-flavored coffee with a smoky air and a slightly sweet aftertaste. 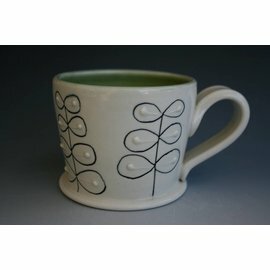 Perfect for that change of pace from your regular coffee. Crafted by Woodshed Roasting company in Laconia, New Hampshire. "We are roasters of specialty coffee, sourcing coffee from around the world. Specialty coffee is the top 20% of the crop and typically grown on average farm size of 6-12 acres. Buying specialty coffee helps small farmers and villages. We offer USDA Certified Organic coffee along with Fair Trade®, Rainforesrt Alliance® and Swiss Water process® decaf."